Hear the verbal orders of your customers, prepare them correctly and fast, and make your restaurant famous! Challenge your friends in creating the best doner kebabs! 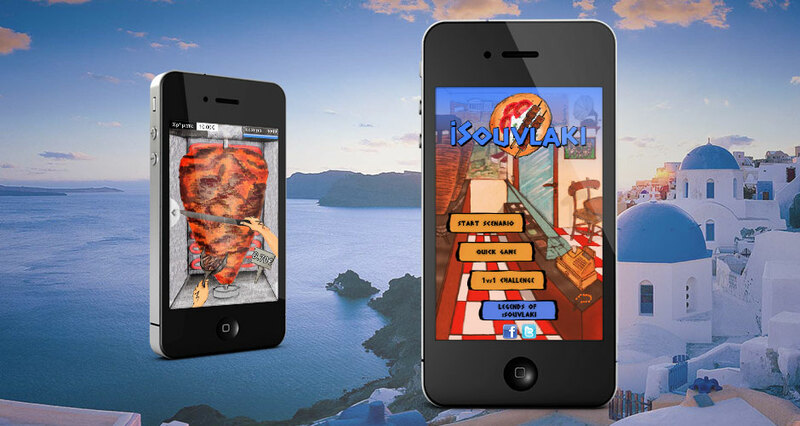 In iSouvlaki the player runs his own Greek fast food restaurant and tries to prepare verbal orders from customers all over the world by adding the correct ingredients in order to make the Greek sandwiches as asked. The fast food restaurant offers Greek sandwiches, or as we call them here in Greece “Gyros” or “Souvlaki” or “Pita”. A Greek sandwich may contain pita or bread, souvlaki, gyros or soutzoukaki, tomato, onions, ketchup, mustard, potatoes and tzatziki. The player should hear the orders carefully and prepare the sandwiches correcty. In addition the whole process should be short in time to satisfy the customers but don’t forget to renew your food supplies and cut gyros!